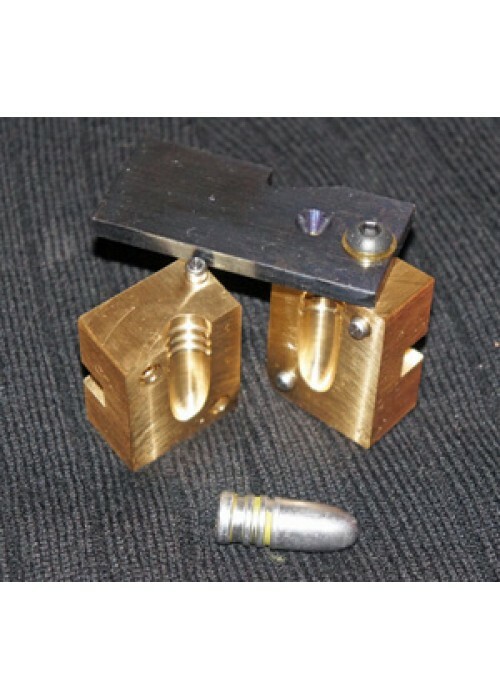 New made solid brass bullet moulds in the "Jim Goodwin" pattern, double cavity 480 grain bullet. 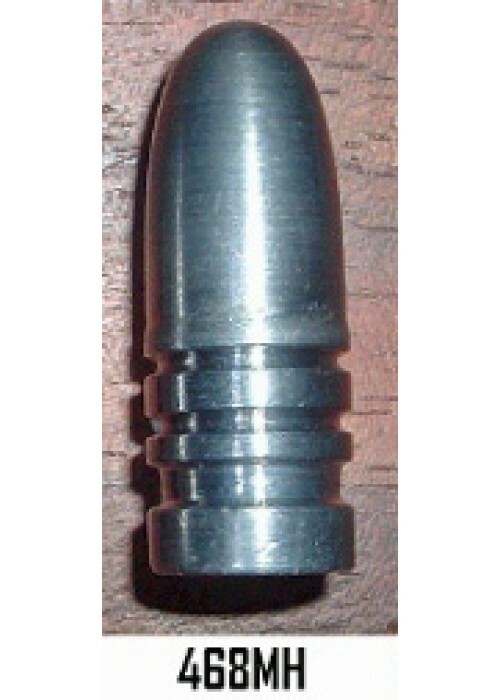 Ideal for all marks of Martini Henry, the bullet has three good grease groves, Initial Body diameter is bore diameter .450", with .464" scraper band and .468" driving band. Fits our 500491 mould handles. Supplied c/w allen keys. 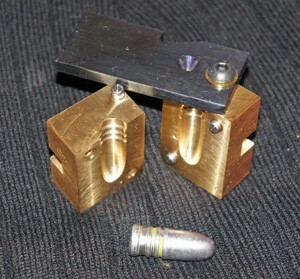 Photo shows single but these will cast two at a time and churn out your projectiles at twice the speed!